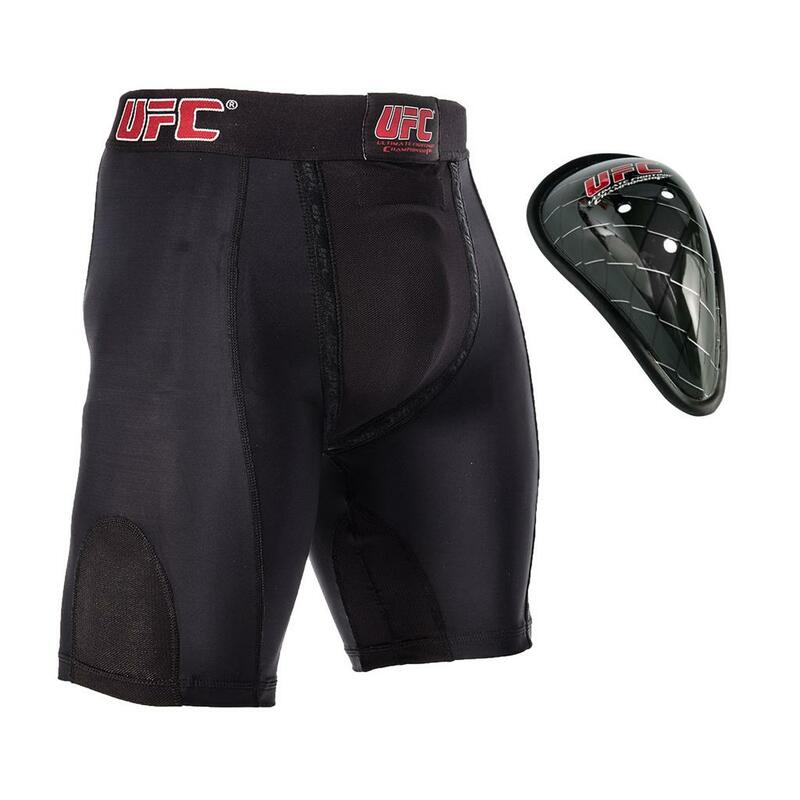 UFC Compression shorts are constructed of a polyester/spandex stretch material that features a flat seam and vented panels on the inner and outer legs to help keep the body cool. An elastic waistband and a vented cup pocket maximize breathablility. The contours TPU rubber cup provides a cushioned edge that moves with the body. Includes cup. Imported.